I also think it is high time that we seriously start to do away with labels like “high functioning borderline” and “low functioning borderline”. The internet is replete with what is actually the very inaccurate and not at all meaningful labels everywhere, of late, it seems. Ask yourself, what do these sub-labels, if you will, actually mean? How do they help anyone? These labels have their origin with an author who is not a mental health professional. These labels have not been introduced by responsible mental health professionals. The label of Borderline Personality Disorder, in fact, of “personality disorder” of any kind has long been debated by those in the anti-psychiatry movement which is made up largely of people who now, in growing numbers, oppose what is known as biopsychiatry and the erroneous forwarding of mental illness generally, and Borderline Personality Disorder, specifically, as “brain disease” or “brain disorders”. There is no independent, reliable, scientifically proven or known “brain disease” for mental illness at all. Studies that are put out by media, some professionals and then quoted by some book authors are not proven and are largely funded by pharmaceutical companies looking to make money off of and by disempowering the mentally ill. Whether you are a man or a woman diagnosed with Borderline Personality Disorder, the reality is that you are not character flawed. You are not broken beyond repair, and, you cannot be cured or find recovery by taking dangerous psychiatric medications. Biopsychiatry’s forwarding of these dangerous medications as treatment for Borderline Personality Disorder disempowers those with BPD – male and female. As a BPD and Mental Health Coach, and as someone who recovered from BPD 15 years ago, I know that medications are not the answer. No one is held prisioner to BPD by his or her brain – no one! 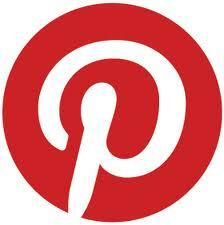 I recovered and I was not on psychiatric medication. At best there is a combination of some neurobiological issues and environment – early childhood experiences and perception that set the stage for the arrested psychological, emotional, and spiritual development of those who go on to be diagnosed with BPD. The brain and the mind are not one in the same. There are many ways to learn how to empower yourself. Take back your own power to find healing, recovery, and wellness. This is what I help my BPD and mental health coaching clients do each and every day. Be careful what you believe. If you think that because the pharmaceutical companies, mainly in the United States, foward the notion of what is really pseudo science, not proven science at all, that BPD is a “brain thing” please do some more research. Please listen to three professionals that I’ve interviewed on my Psyche Whisperer Radio Show Dr. Niall McLaren, M.D., Dr. John Breeding, Ph.D. and Dr. Dan L. Edmunds founder of the International Center for Humane Psychiatry. 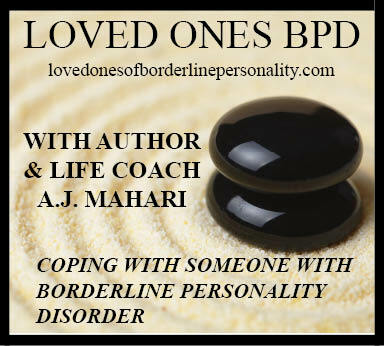 Many people that I coach who have Borderline Personality Disorder, just like the many clients I coach who are loved ones of someone with BPD or partners or ex-partners of someone with BPD, the challenges for all have more in common than more that is wholly different. The challenges of those diagnosed with BPD, male or female, do not include having a “brain disorder” or “brain disease”. People who forward this inaccurate information do so to cash in on the disempowering of human beings who look to them for help. Educate yourself about this. Life Coaches, BPD and Mental Health Coaches, forwarding the agenda of biopsychiatry are not doing so to truly serve you. You risk being disempowered by these people, whether they are well-meaning or not. In my life coaching practice and philosophy the focus in on empowering the client, and not on forwarding the agenda of any mental health professional or association. Life coaching, BPD and Mental Health Coaching, in my philososphy and practice is not about the methods and means employed by mental health professionals and has nothing to do with the agenda and money-making machine of psychiatry today – most of which ascribes to biopsychiatry. Men with Borderline Personality Disorder, like their female counterparts also diagnosed with Borderline Personality are individuals who often have successful careers but great difficulty in interpersonal relationships. There are many ways of being in this world and the black and white definitions that so many use to denote mental illness from mental health are also faulty and self-serving. There are different levels of functioning in both genders and for many with BPD their are more obstacles to succeeding in work as well as interpersonal relating. There is nothing about this, however, that need be or that can even scientifically (in any proven way) be ascribed to the biology of your brain. Choose to empower yourself and educate yourself about the role of the money-making machine known as Big Pharma and the funding of studies that are being misrepresented as proven science and all of which conclude that men or women with BPD should be medicated and often heavily medicated with dangerous drugs that they don’t give you full disclosure about. It is these drugs that cause chemical imbalances in the brain, not the diagnosis or presense of the symptoms of Borderline Personality Disorder in your life. Whether you are male of female recovery is possible. That recovery will hinge upon you educating yourself and freeing yourself from the misinformation of organizations like Nami in the United States who are over 56% funded by Big Pharma. Big Pharma and psychiatric drugs mean big money for many mental health organizations – claiming to advocate for those they claim to serve. Big pharma means big money for many psychiatrists who practice from the model of biopsychiatry. Some say there are positives to having Borderline Personality Disorder. I don’t agree. I think that people who are diagnosed with BPD, again whether male or female, have many positive qualities, talents, and passions, not everything about you needs to be attributed, one way or another, to Borderline Personality Disorder. In fact, I would challenge you to re-think how much you relate most things in your life good or bad as having some relation to what it means to have been diagnosed with BPD. And, I’ll add, are people with BPD really “too sensitive”? I don’t think so. I think that sensitivity is an individual thing. So is temperament. Psychiatry with the diagnosis of Borderline Personality Disorder labels you, stigmatizes you, de-humanizes and pathologizes your experience in life, and your feelings and to what end? To convince you that you are so “flawed” and (many still say) beyond help that you need drugs for the rest of your life. NO, you don’t. And that way of treating you is abusive. It is not help. It is not support. It does not contain compassion. It does not recognize you or care at all about who you or what you have experienced in your life. In my BPD and Mental health Coaching caring about you, having compassion for you, validating your experiences and/or perceptions - your ways of thinking about those experiences, is at the center of the process of the journey of working together to help you to learn skills that will create wellness, enhance the quality of your life and set you squarely on the road to recovery. © A.J. Mahari, September 26, 2010 – All rights reserved.